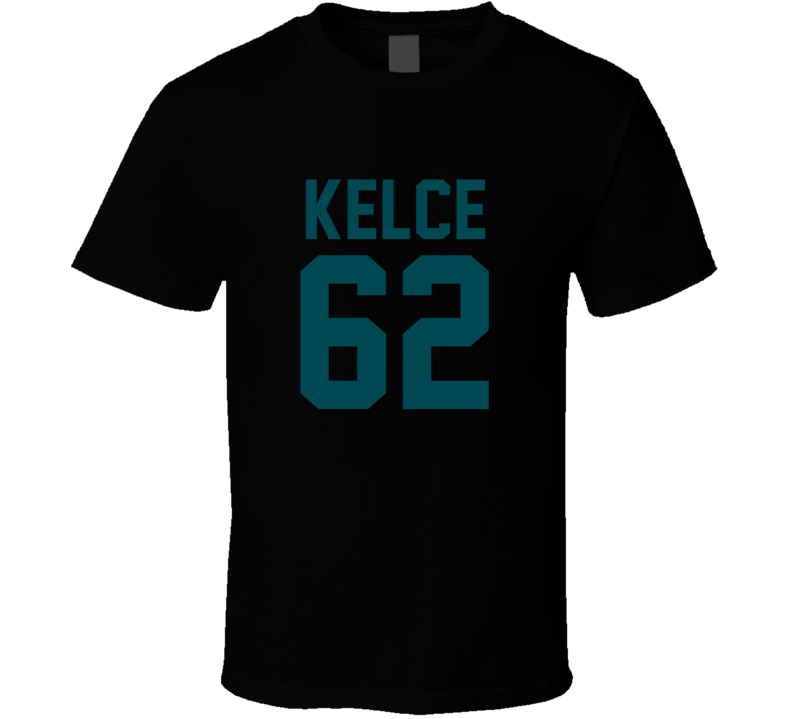 Order your very own Jason Kelce # 62 Jersey Back Philadelphia Football Team Fan For Black T Shirt. It won’t be around forever so buy yours here today! Shop our huge selection of high quality, graphic apparel. Each sports themed design is offered on a variety of sizes and styles including; t shirts, hoodies, aprons and even baby one-pieces! This product is pre-treated to ensure quality and longevity of the graphic. Buy one for yourself, or treat your whole team to awesome new tees with our $5.99 flat rate shipping! Buyers are responsible for returning any shirts they are defective in original packaging and in new condition. You will be refunded 100% for the t shirt. We can only offer a 100% refund for defective/poor quality orders because we are a custom print shop and our shirts are made-to-order. Therefore if you have wrongly given us your size or if you order a size, receive that size but are not happy with the fit these are not grounds for a return. We can take back t shirts that do not fit or you simply want to return with a $7 restocking fee, or $15 fee for Hoodies. Shirtslimited offers a 100% satisfaction guarantee return policy. For a more detailed return policy or more information please contact us by email shirtslimited99@gmail.com and we will gladly provide you with your options as well as the address to which your items should be returned. Upon receipt, Shirtslimited will refund your purchase.